Karl Stevens runs his victory lap in this collection of (mostly) full color short pieces that (to some degree, anyway) depict his struggles to live a life less dependent on sarcasm and irony. 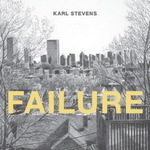 A follow up to his previous collection, Failure, The Winner finds Karl recently espoused, newly sober and, as you may have already surmised from the cover illustration, working as a museum guard – but still residing in Boston and still an ace in the Pen & Ink Rendering of Reality (and, in one bit, Fantasy, as well) Department. This time around Mr. Stevens fleshes out his drawing with plenty of color, employing a variety of methods, primarily watercolor. 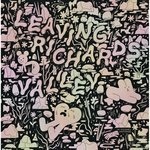 Fans of his previous work will not be disappointed, and newcomers possessing the proper temperament and appropriately dry sense of humor may find themselves pleasantly surprised.